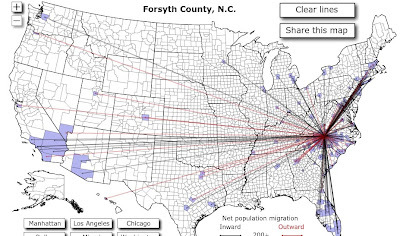 Forbes Magazine has this fascinating interactive map that shows migrations within the United States. So, where are these 120,000 new people coming from? Well, lately they've been moving here from the Northeast and Florida.